Good Grief! Less than 5 nm from Kiptopeke and we go aground. Stupid, stupid, stupid. By the grace of God and reverse gear we break loose. After we pass the Bay Bridge Tunnel (BBT), the swells increase to five feet. Not much wind though. 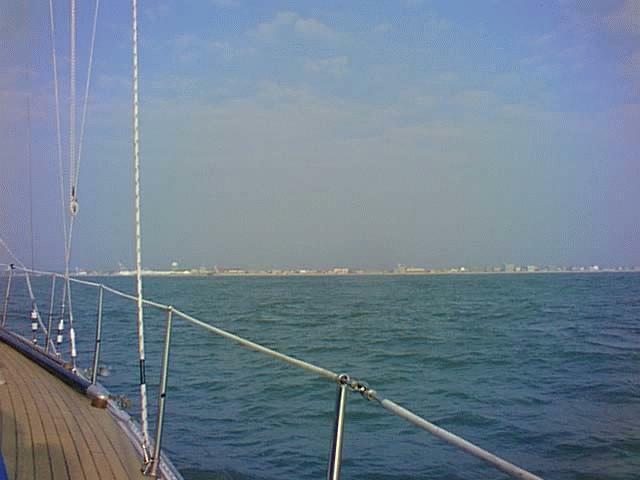 Crew, GPS, and radar greatly facilitate the passage to Ocean City (25 hours). Thunder clouds everywhere but not here. We are blessed. There is a Dolphin in There (Really! ): About six hours out we see a gagle? of dolphins approaching the Jule III. Unfortunately, the ship's photographer is not fast enough to catch it. Sunset on the Atlantic: The sun is leaving us and we have another 14 hours before Ocean City. The crew is excited but also sleepy. A long way to go. Landfall at Ocean City: Landfall at 0830. 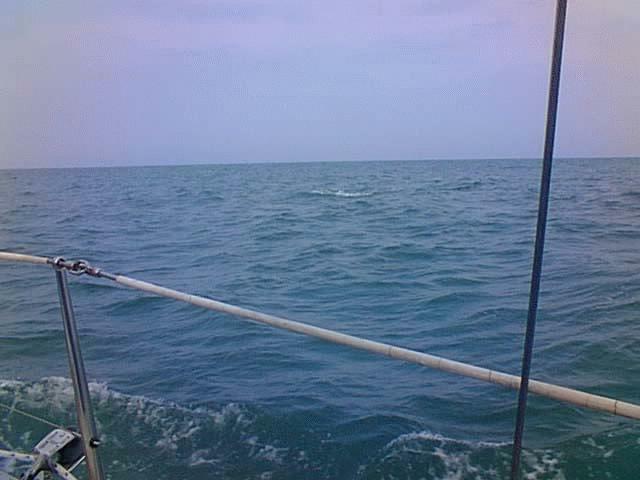 By the time we reach the White Marlin Marina it is 1000..unfavorable current at 5 kts. Docking in the slip was a challenge!!! !